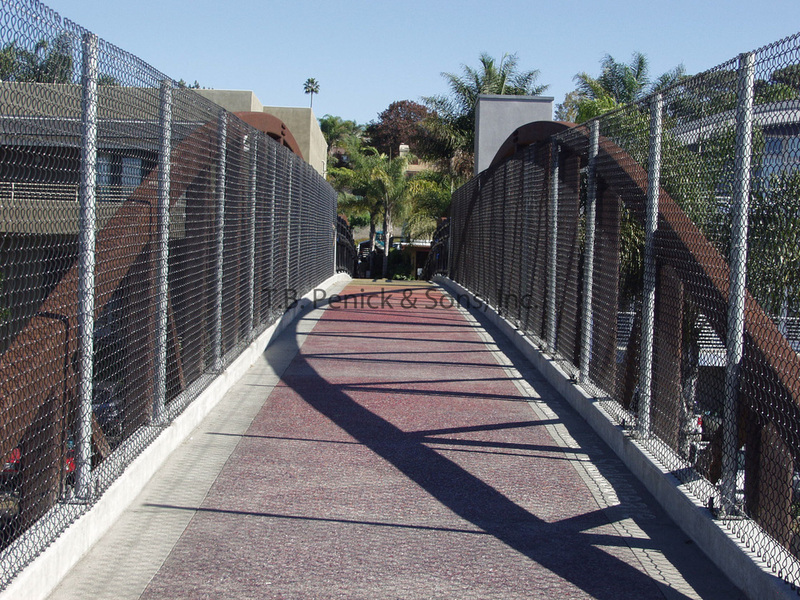 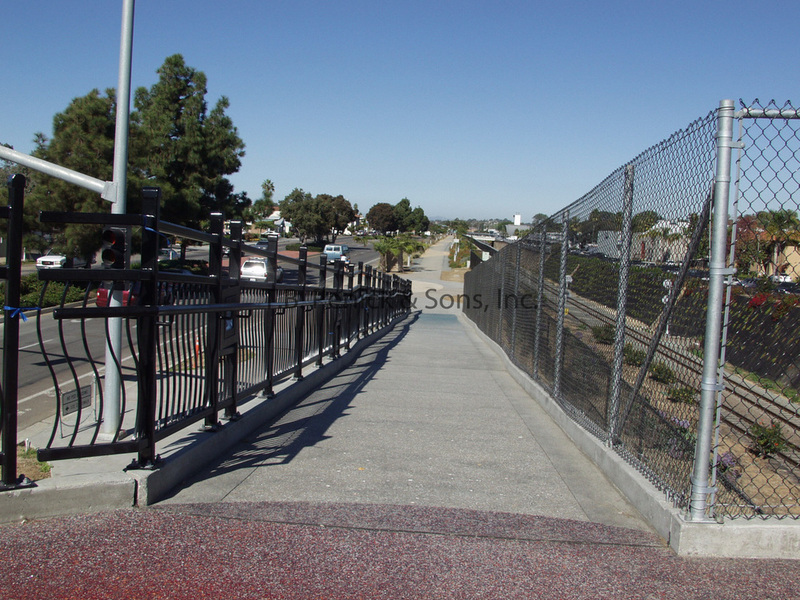 Rosa Street Bridge is a pedestrian and bicycle bridge that connects busy Hwy 101 with the Cedros design district. 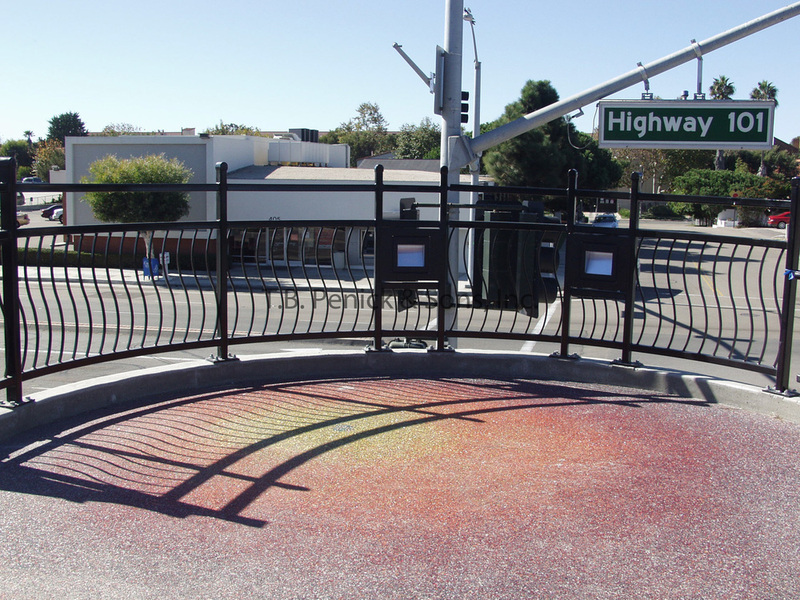 Schmidt Design chose Lithocrete® to simulate the “green flash” phenomena seen when part of the sun suddenly changes color from red or orange to green or blue when it hits the water. 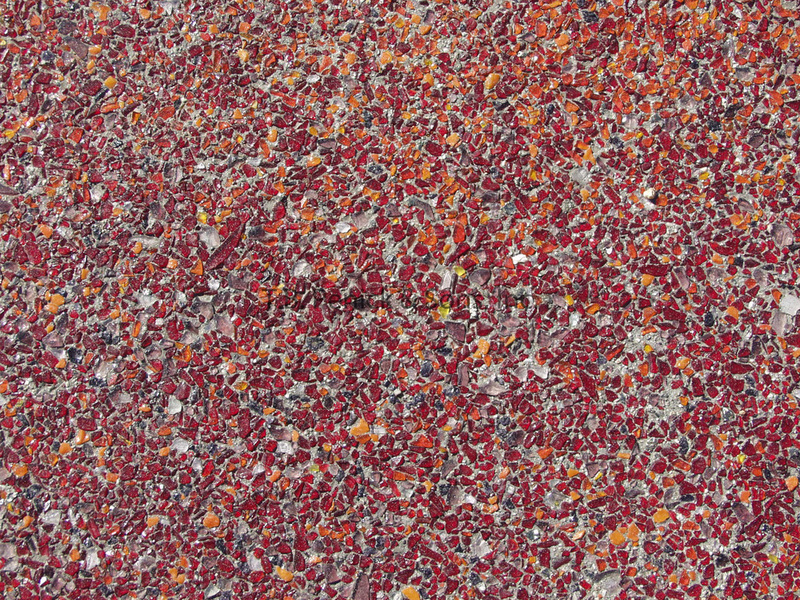 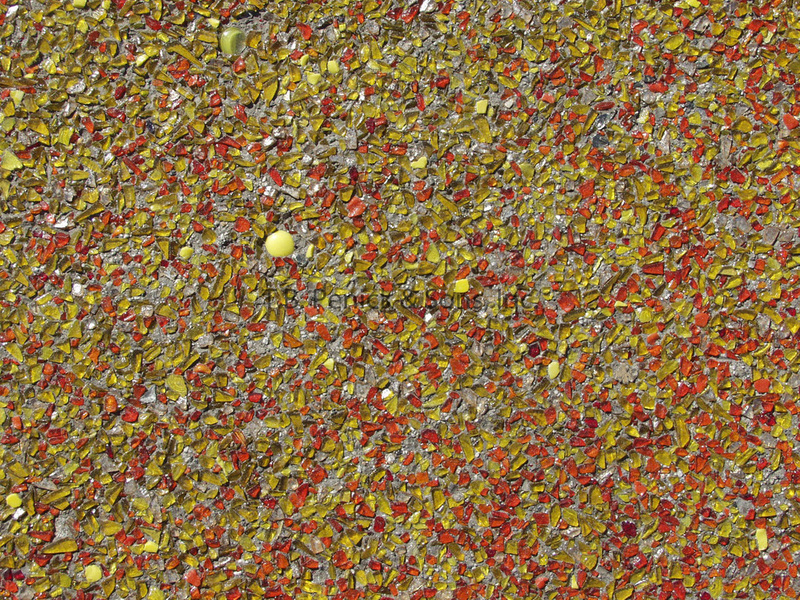 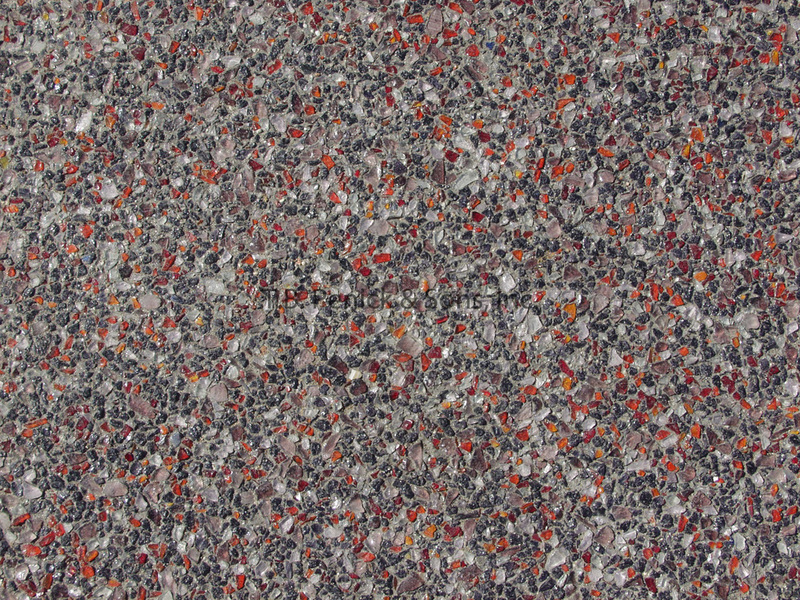 A patented process, Lithocrete® allows you to seed materials smaller than 3/8” of an inch. 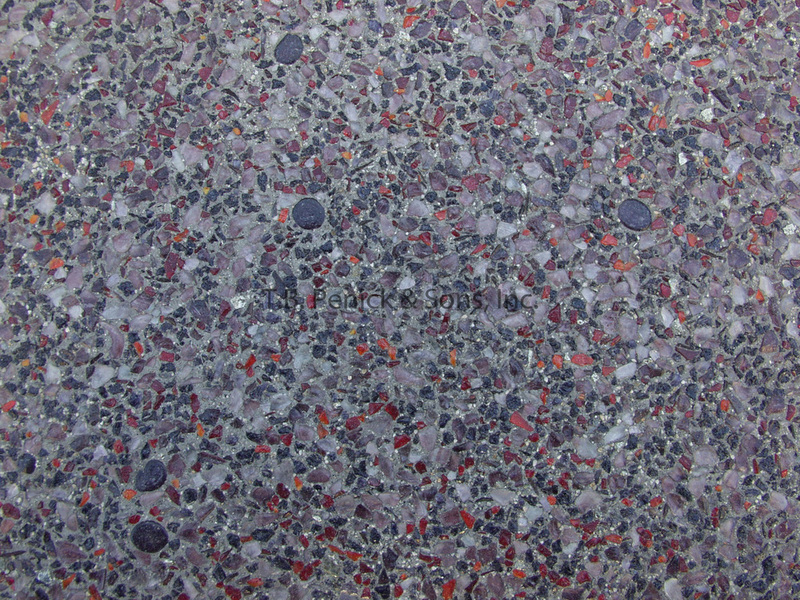 The vibrant colors of their innovative design are achieved by seeding 15 different glass blends over 8-10 inches of natural gray concrete. 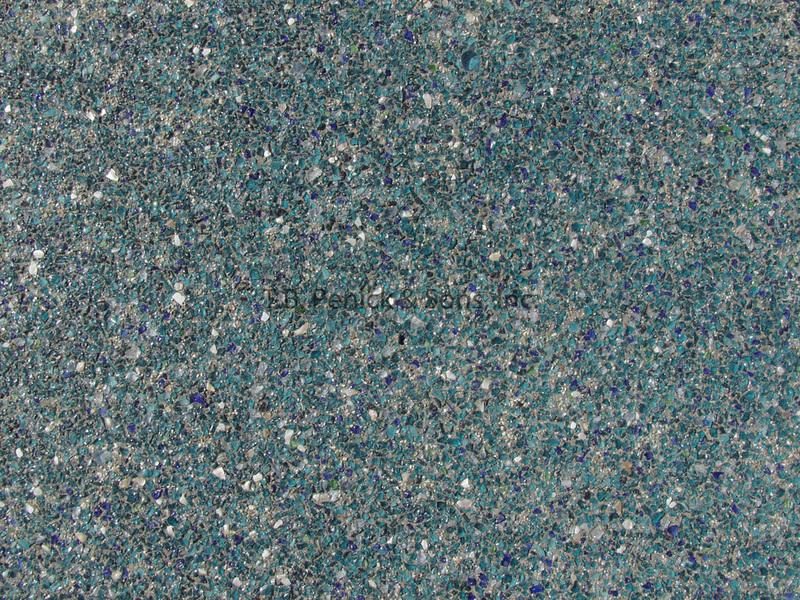 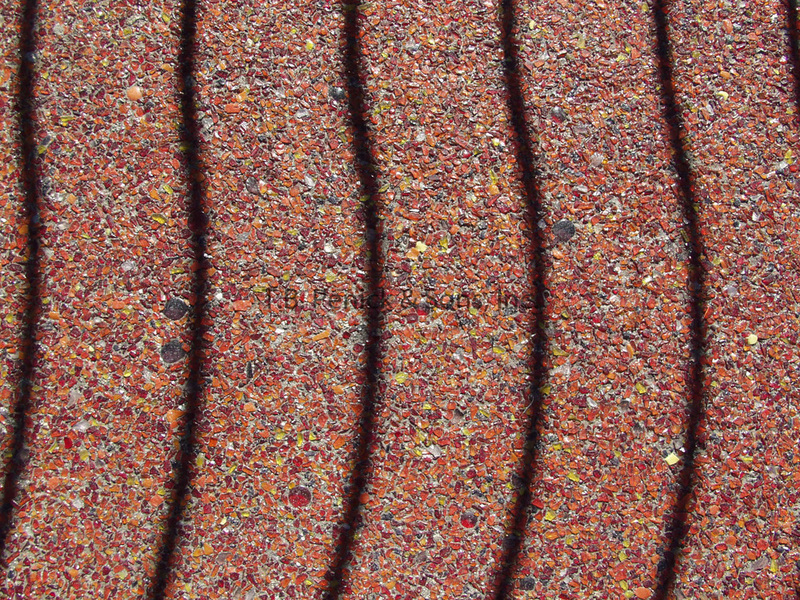 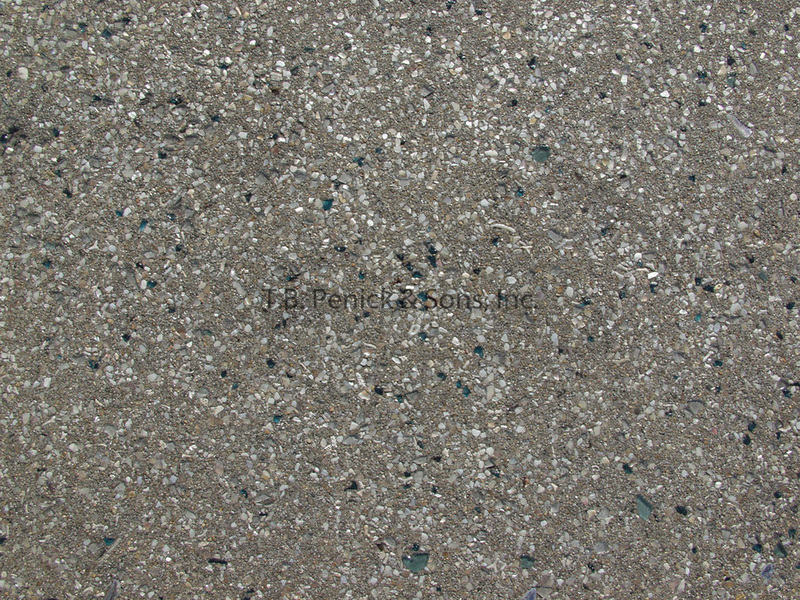 The result is a maintenance free surface with the durability of 30 or more years. 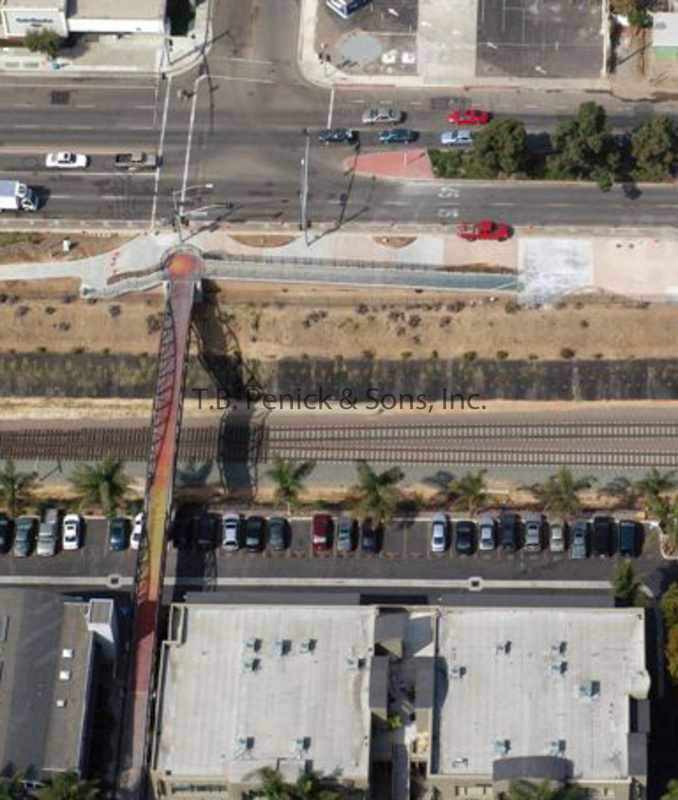 The bridge extends over the railroad tracks, making for perilous and difficult conditions for our crew. 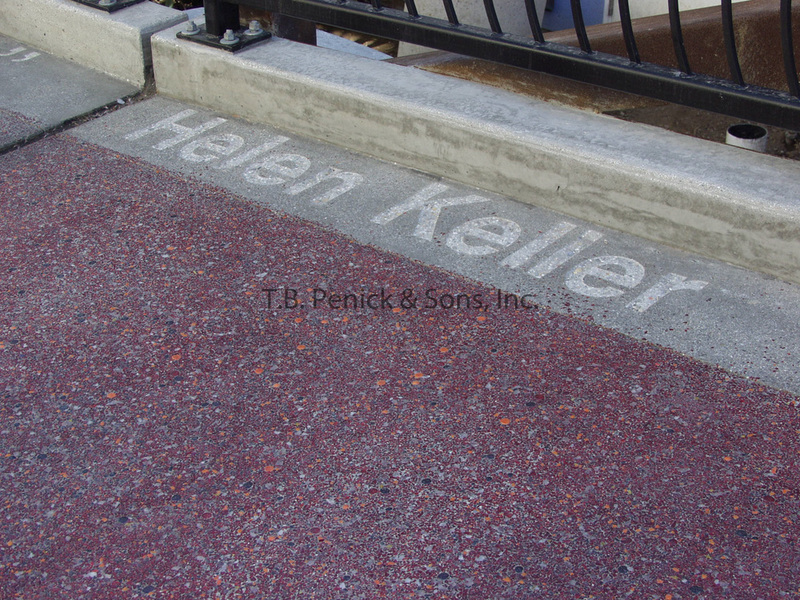 They extended planks across the bridge so that the concrete could be poured and seeded with glass and gems. 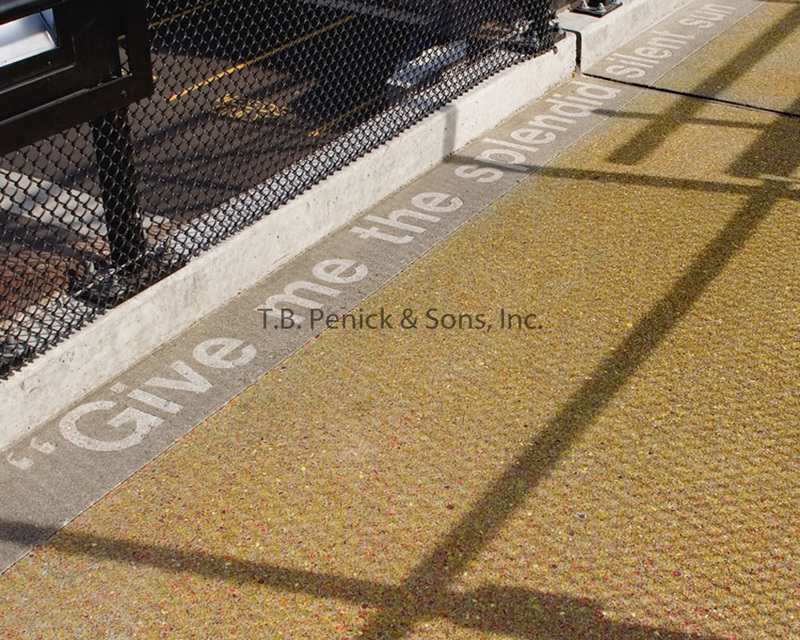 Inspirational quotes about the sun by William Shakespeare, Helen Keller, and Walt Whitman can also be found sandblasted along the edges of the bridge walkway.